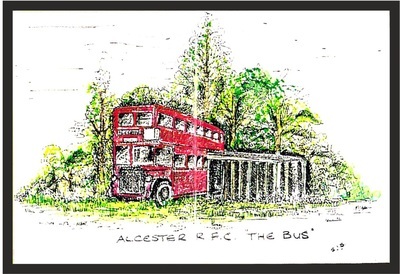 Alcester Rugby Football Club celebrated its Golden Jubilee in 2009. 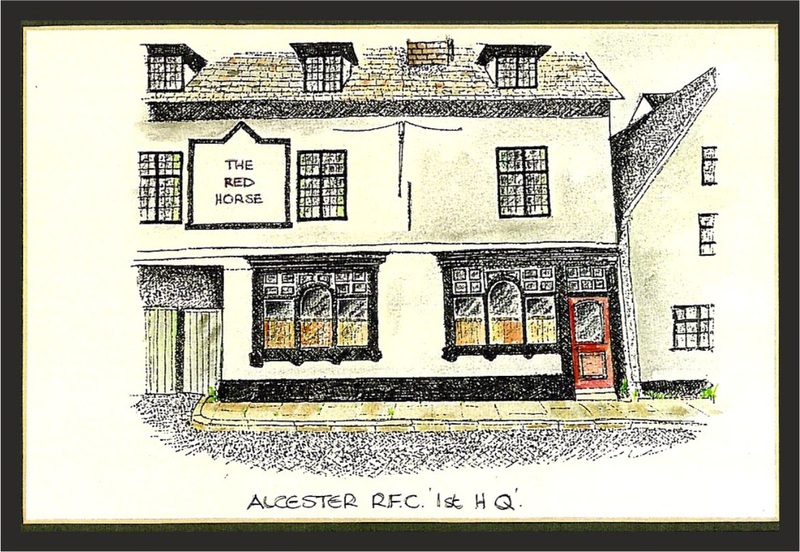 The club was formed in 1959 when Welsh born Bert Sheppard heard that a PE teacher was introducing rugby to Alcester Grammar School. The teacher (Mr Silva) and Bert persuaded a group of young farmers to learn the basics of the game and they practised on the school playing field. After a short period of time an interested party, farmer Tony Hartley agreed to let them use one of his fields, including a cow shed to change in. Henry Silva left the school after a year and the club shortly afterwards. The reigns were taken up by David Earle, an estate agent from Henley in Arden whose energy and influence turned the club into a well organized venture. 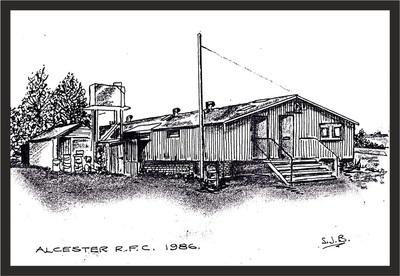 With David as club secretary, Stuart Moberley as treasurer and Tony Latham as Chairman the club started to attract new members which included future Club Captains such Mike Perkins and Mick Maisey. After an eventful period with Mr Hartley the club was able to move to pastures new courtesy of O.D.Smith, a local builder. 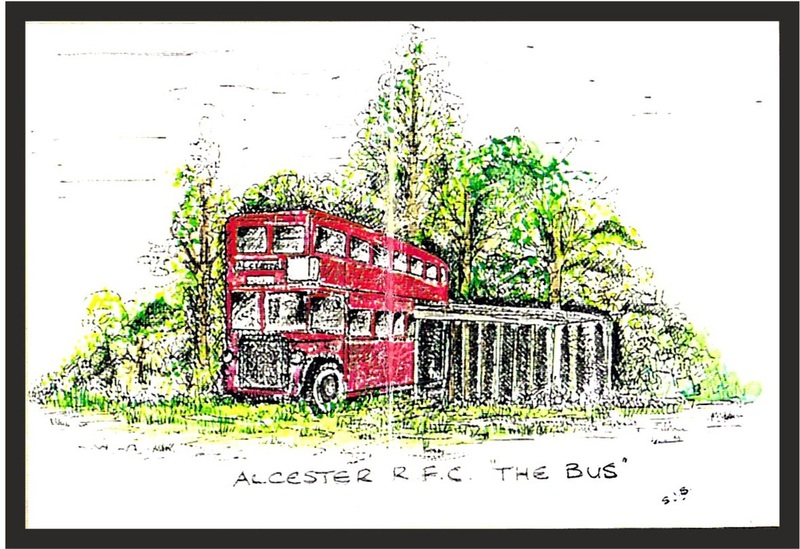 He provided a field at the end of Throckmorton Road and Tony Latham arranged changing facilities in the form of a London bus, borrowed from Tony Bird, President of Stratford RFC. 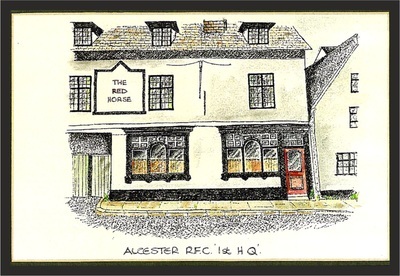 Eventually, the old “Red Horse” pub in Henley Street, Alcester offered both changing and socializing facilities, one being the stables at the back and the bar in an upstairs room. 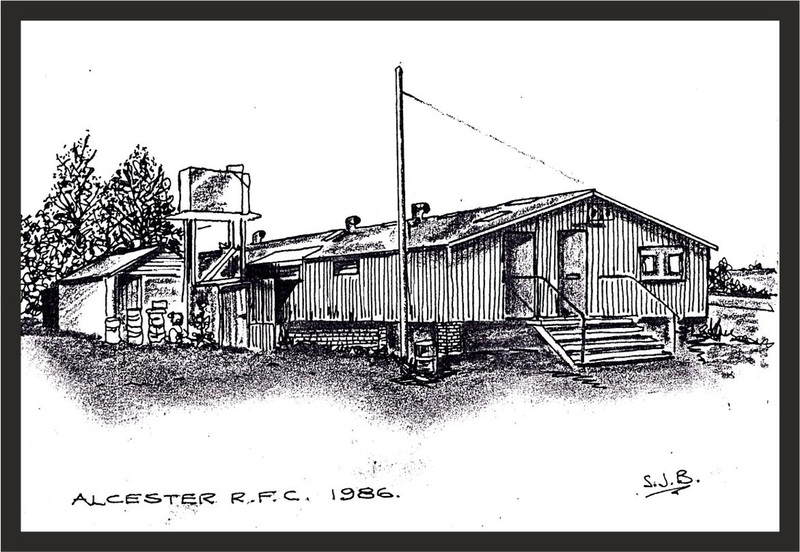 In 1967 the present ground was obtained, together with the famous (or infamous) "Chicken Shack" and eventually the existing "built for purpose" clubhouse came about...........to be continued.